Having been online since 2015, you could say that Luckland Casino has picked up a thing or two when it comes to pleasing its punters. Licensed by both the Malta Gaming Authority and the UK Gambling Commission, Luckland offers a pretty generous welcome package (which we’ll get into in more detail a little later in this Luckland Casino Review). The casino itself provides a great variety of games, including slots (which are nicely segmented in the site’s menu), classic casino games and scratch cards, to name but a few categories. A 25% up to $/€200 on their fourth deposit. 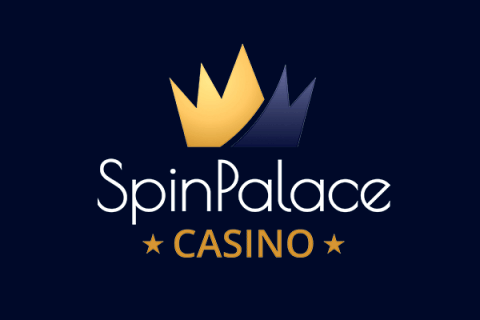 Plus, they’ll get 40 free spins a day from the first day that they signed up to Luckland and over the next 5 days. What gamblers will definitely like about the free spins for real money is that Luckland gives them to use on some of the most popular games around, including Starburst (yes, really! ), Gonzo’s Quest and Twin Spin, among others. 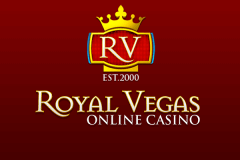 It’s actually a pretty rare move for an online casino, and we were impressed! There are over 350 games to play at Luckland, with the new ones being added all the time. The games are powered by industry-leading software providers Microgaming and NetEnt, which are the biggest stamp of quality you can expect to receive. Heres’ a more in-depth breakdown of the games on offer created by 30 more game providers at Luckland. We’d say that Luckland is more of a slots-focused online casino, tellingly as they segment their slots types into easily searchable categories: Video Slots and Classic. Among the most popular slot games you can find Starburst, Book of Dead and Twin Spin slot machines, but there were hundreds of others you may have never heard of before – which is always a good thing! Choose a tab to find the type of slot you want to play – although, if you’re looking to be inspired, you won’t find any easy filtering options here. There is a ‘Game search’ bar – but sometimes, you just want to be given a few options, right? Search under the ‘Casino Games’ tab and you’ll find a range of Roulette, Baccarat, Blackjack and a few extra games – Deuces Wild, Jacks or Better, Solitaire…and that’s about it. There are a lot of variants of the two most popular table games – Roulette and Blackjack – so if you’re a Roulette or Blackjack fan, this is probably where you’ll be heading. If you’re a Video Poker fan, then maybe Luckland isn’t quite the best casino for you. While there are live dealer casino games (actually, quite a few of them – and all of the fan favourites too – Live Roulette, Live Blackjack, and quite a few variants), weirdly there’s no actual separate Live casino tab. Well, as long as they’re there, there’s no harm done, right? What New Zealand casino players will really appreciate (in addition to the above) is that Luckland is weightless to play on mobile. We tallied most of the games on the mobile version, and found them to nearly all be present from the desktop version – which is no mean feat! For more tech-savvy players, Luckland also had a dedicated app for both iOS and Android devices – and it is smooth. We actually preferred playing on the apps to the mobile version – purely because we loved the design. How many ways can you deposit and withdraw from Luckland Casino, you ask? How many ways can’t you deposit and withdraw, might be a better (and shorter) question! For deposits and withdrawals in USD and EUR, Luckland accepts credit & debit cards (Visa, Mastercard), bank transfers, e-wallets (Skrill, Neteller), ecoPayz, Euteller, Paysafecard, EntroPay and many others. Most of the above deposit methods are instant, with the exception of wire transfers, which can take up to 6 days to appear in your player account. Otherwise, the withdrawal times really vary between the requested methods: from between 3 business days (for Trustly, Skrill, Neteller and ecoPayz), to 6-8 business days for others (entroPay, bank transfer, Visa and Mastercard). Additionally, Sofort banking, Euteller, Zimpler, Mister Cash, EPS, Paysafecard and Fast Bank Transfer aren’t available for withdrawals. All in all, we have a lot that players will like about Luckland casino: from the range of games available to the vast deposit methods (accepted instantly!) to the ease of use and the cool mobile apps. Casino HEX thoroughly recommends this casino, but mostly for more traditional casino players – those who like slots, or a few table games. Anyone who is a die-hard Video Poker or Live Casino fan will find something here to spark their interest, but perhaps be left feeling a bit like they’re missing out. The uber-generous welcome package, and that it gave bonuses out over several days, as well as free spins is one of the biggest advantages of choosing Luckland. Newer players might not like depositing all in one go, and for that, Luckland’s welcome package is really beneficial, allowing them to slowly ease in to the experience. Ultimately – Luckland gets a huge ‘thumbs up’ from Casino HEX!